There is hunger in Pakistan and there is undernutrition. The two are closely connected but not the same. We all know what hunger feels like. It is a bodily sensation associated with discomfort and pain. Social policy knows hunger in terms of energy intake. The Food and Agricultural Organization (FAO) of the United Nations defines hunger as the daily consumption of fewer than 1,800 kcal by an individual. The Pakistan government’s own benchmark, until recently, was 2,100 kcal per day. Undernutrition is the outcome of sustained periods of inadequate food intake on the health of a person. Social policy knows undernutrition through comparing an individual’s physical attributes such as weight, height or blood micronutrient counts with those of a healthy population. There is a lot of hunger and undernutrition in Pakistan, and we have known about it for a while. A quarter of the country’s population consumed less than 1,800 calories, and a half consumed less than 2,100 calories per day. According to the National Nutrition Survey, in 2011, 44 percent of the children aged below five years were stunted, 54 per cent had Vitamin A deficiency, and 63 per cent were anaemic. Food security, or the availability and access of all people to a healthy and nutritious diet at all times, is often cited as a policy objective by the government and international donors. So why are hunger and undernutrition not policy priorities or political issues? I do not think that this is because governance is ineffective or accountability is weak in a general sense. In an article recently published in the IDS Bulletin, I argued that there is a surprisingly effective social contract in Pakistan on food security to which the government is held accountable by citizens. But this social contract is limited to the prevention of food price spirals and shortages. Administrative and political systems are geared towards these market stabilisation goals and exceptions such as the food price crisis of 2007-2008 at the tail-end of General Musharraf’s rule prove the rule. In interviews in low income rural and urban communities for the research project Life in a Time of Food Price Volatility, citizens agreed that the government’s role with respect to food security was limited to controlling price spirals and shortages. This is in spite of the fact that nearly all of our interviewee households reported that they had gone hungry at some time over the previous year. Hungry days came when a daily wage labourer was unable to find work, grain stocked at harvest time ran out, there was an illness in the family, or when families’ social support systems were disrupted. Ours was a small qualitative sample of 20 households, but the statistically representative National Nutrition Survey had also asked respondents if they or their children had gone hungry. Nearly a third of all households said that they had. 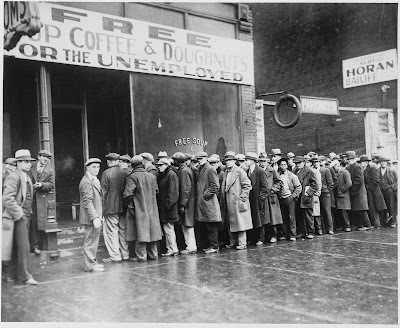 An effective social contract around price and market stability could not prevent hungry days, and people did not think that it was the government’s responsibility to ensure them against hungry days. I believe that hunger and undernutrition will reduce in Pakistan when they become political issues which cannot be ignored, much in the same way that price spirals and market shortages cannot be ignored by the administrative and political systems. But people make political demands when there is a realistic expectation of them being met. They know that government can and does act to prevent price spirals and market shortages. And governments know that price spirals and market shortages impose political costs. Because hungry days are normally prevented through informal social networks involving families, neighbours, employers and patrons, it is with these networks rather than with the government that expectations reside. At the very least people need to know in practical terms what a policy promise, if fulfilled, will actually mean to them. When governments and international donors speak about their commitments they use a language and a way of knowing hunger and undernutrition that has little connection with how hunger is actually felt and experienced. To say that the minimum standard of energy intake will be 1,800 or 2,100 kcal per person daily is not the same as saying that there is a commitment that no person will go hungry, or that no individual or family will have a day when they sleep hungry. And to say that we aim to reduce child stunting or anaemia is not the same as promising that every child will have sufficient milk to drink, or at least a glass of milk to drink every day. Perhaps a baby step towards demand-making for food security will be to bridge the gap between the way social policy ‘knows’ about hunger and how a hungry individual or family actually experiences it.